After attempts to secure a prostitute failed, a belligerently drunk UK driver crashed his Audi Q7 into the back of a Fiat Punto while pleasuring himself, killing two and injuring a third. File this one under "What Where You Thinking?" 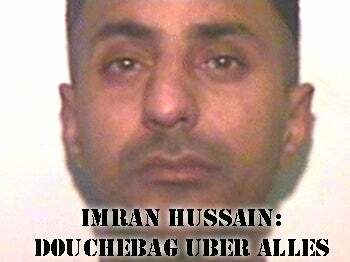 After an argument with his wife, Imran Hussain got belligerently drunk and after attempts to secure a prostitute failed, pleasured himself while driving in his Audi Q7. Everything was fine and dandy until he crashed into the back of a Fiat Punto at speed, killing Gary Proctor, 47, and son James, 16, and seriously injuring wife Catherine, age 44.